Official records reveal a Walther PPK pistol found inside the ‘kubol’ of drug lord Peter Co is registered under the name of Guimaras Rep. Joaquin Carlos Rahman Nava. Sources say Nava can’t wait to deny his links to the convicted drug lord. The public can’t wait to not believe him. 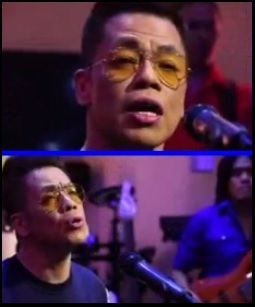 Henry Colanggo, the convicted leader of the Waray-Waray and Ozamiz bank robbery group and one of the inmates living in a luxury villa inside the national penitentiary is also a recording artist. In fact, in the recent PMPC Star Awards for Music, he won Best New Male Recording Artist even besting the talented and very popular rapper-songwriter Abra. 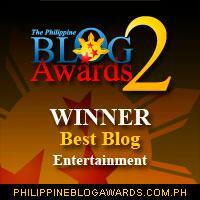 The award made Colanggo happy but he made the PMPC ha₱₱ier. Critics say the PMPC had lost its credibility when it gave the award to a convicted robbery gang leader. Which begs the question, what credibility? 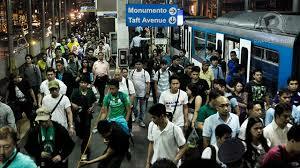 According to a Social Weather Stations survey, 7 out of 10 Filipinos expect a happy Christmas. The other three were Bong, Jinggoy and Enrile. In a recent survey, the SWS asked some 1,800 respondents if they were expecting a happy Christmas this year. It’s a YES according to 64 percent of Filipinos in Metro Manila; 72 percent in the rest of Luzon; 71 percent in Mindanao; 72 percent in the Visayas, and 0 percent in the Maximum Security Compound of the New Bilibid Prison. Speaking before youth members of the Jesus is Lord Church Movement, President Aquino called on the youth to discuss politics and government instead of spending time on selfies and Clash of Clans. Such encouraging words from someone who quit playing video games at the age of 50. For the first time, US Marine Lance Corporal Joseph Scott Pemberton, the suspect in the murder of transgender Jennifer Laude appeared before the sala of Olongapo City Judge Roline Ginez-Jabalde. Throughout the hearing, Pemberton was noticeably staring at Judge Jabalde, checking if she’s really female. 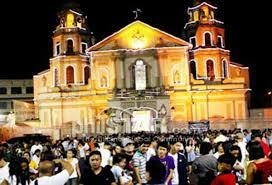 The annual Simbang Gabi started last Tuesday. Some friends are determined to complete the nine-day series of dawn masses. I’m hoping to see them get promoted to Level 2 Catholic. The Belarus government has tightened its control of online media. A bill that seeks to shut down online content deemed offensive by the government has been endorsed by Information Minister Titus Sottoshenko. Sony cancelled the showing of the movie ‘The Interview’ – a political comedy about a fictional plot to kill North Korean dictator Kim Jong-Un after hackers believed to be sponsored by North Korea threatened to launch an attack. Maybe these North Korean wackos can do something about the annual MMFF. ~The Sandiganbayan on Jinggoy’s request to spend Christmas in his home.